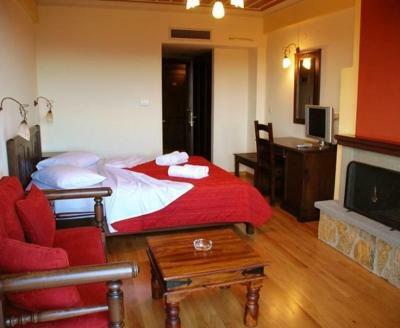 Lock in a great price for Zagori Philoxenia Hotel – rated 9.5 by recent guests! The host was very pleasent and helpful. Excellent breakfast and several nearby restaurants. Everything, from the family staff to the location and breakfast, was perfect! Really enjoyed this staying. 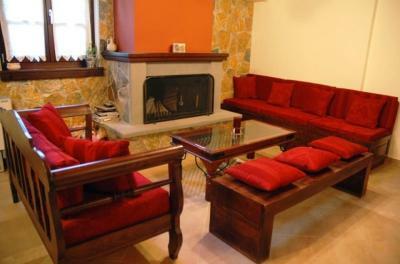 Very comfortable, clean, and friendly hotel in the hear t of the Zagori region. The place is beautiful, very cozy and . 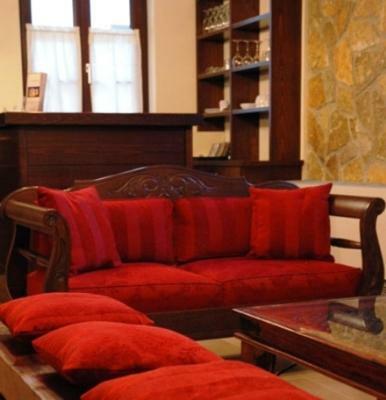 The location is great walking distance from great restaurants and great view points. The staff was helpful with planning our trip in the area and going over the map. The breakfast was very nice. Great hotel. Lovely view. Staff were extremely friendly. Lovely family run business with every generation participating in some way. Awesome breakfast. Very accommodating and helpful. 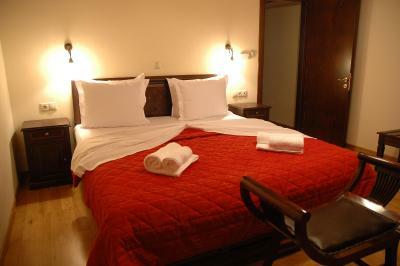 Very friendly place, room was very clean and very comfortable. 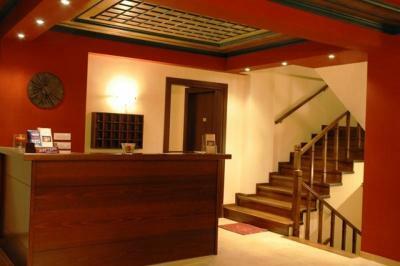 We were even offered the choice of several open rooms when we arrived. Wonderful location for hiking the Vikos Gorge. Room had a bigger (and updated) bathroom than many other places we stayed in Greece, which we appreciated. Delicious, generous, homemade breakfast was a highlight. Excellent location with very friendly staff. Rooms clean and good breakfast. 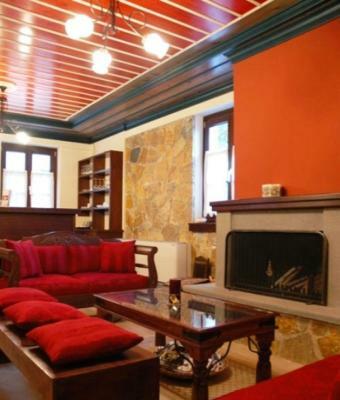 Zagori Philoxenia Hotel This rating is a reflection of how the property compares to the industry standard when it comes to price, facilities and services available. It's based on a self-evaluation by the property. Use this rating to help choose your stay! 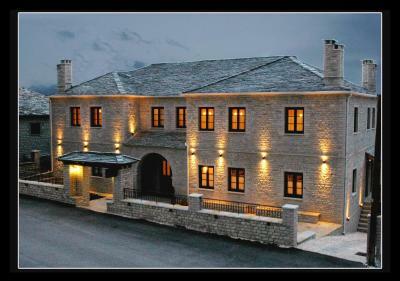 Located in Monodendri village, family-run Zagori Philoxenia is a stone-built hotel featuring rooms with a furnished balcony overlooking Mount Tymfi. 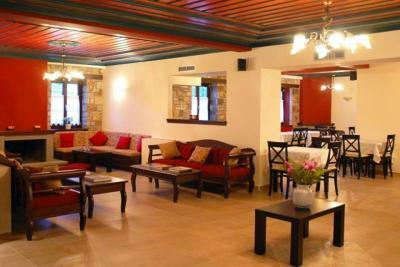 A breakfast buffet with homemade bread and pies is served in the traditionally furnished dining area. 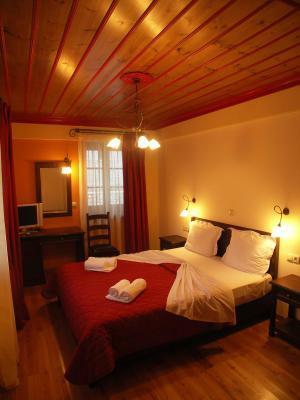 Featuring wooden ceilings and floors, warm colors and dark wood furnishings, rooms at the Zagori Philoxenia Hotel include an LCD TV and fridge. Each has a bathroom stocked with toiletries and a hairdryer. 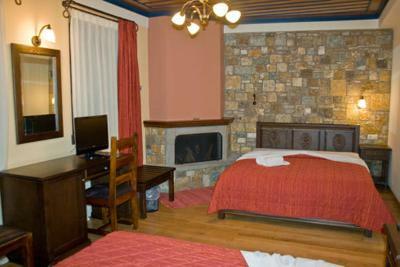 Some rooms feature a fireplace. Guests are welcomed with local spirits and sweets. Drinks, herbal teas and coffee are served at the bar. 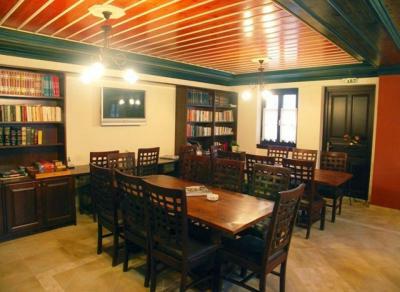 The hotel library holds books on the area that guests can borrow and enjoy in the seating area next to the fireplace. Free Wi-Fi access in all public spaces, magazines and board games are also available. Staff at the tour desk can arrange rafting activities in Voidomatis River or excursions to Lake Drakolimni. Restaurants and shops are within a 2-minute walk. Ioannina is 24 mi away. 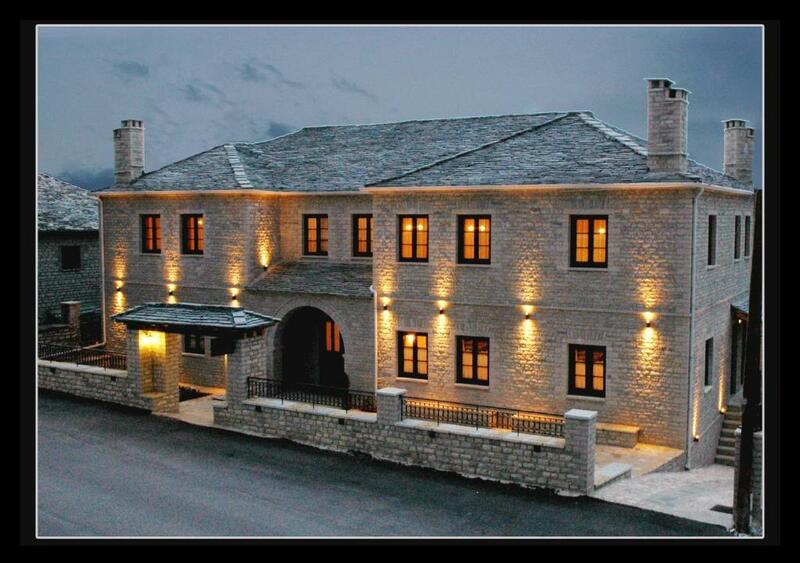 When would you like to stay at Zagori Philoxenia Hotel? 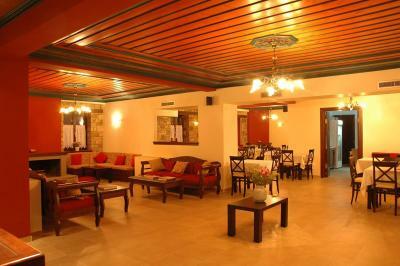 Overlooking Mount Tymfi, it features wooden ceilings and floors, warm colors and dark wood furnishings. Includes an LCD TV and fridge. A bathroom stocked with toiletries and a hairdryer is provided. 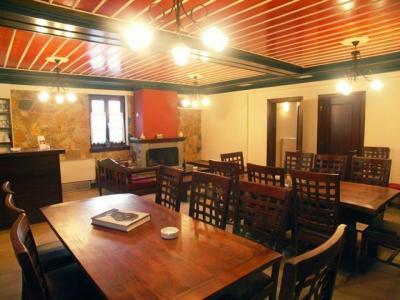 Features a fireplace and overlooks Mount Tymfi. 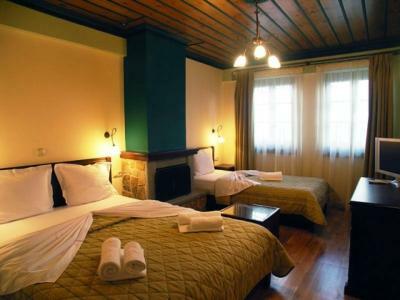 This room has wooden ceilings and floors, warm colors and dark wood furnishings. 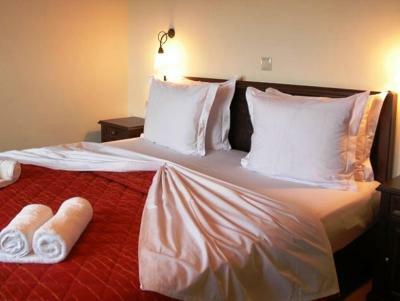 Includes an LCD TV and fridge.A bathroom stocked with toiletries and a hairdryer is provided. 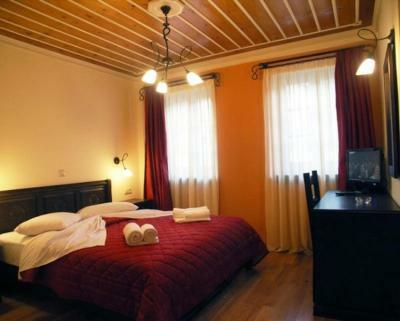 Overlooking Mount Tymfi, this room features wooden ceilings and floors, warm colors and dark wood furnishings. Includes an LCD TV and fridge. A bathroom stocked with toiletries and a hairdryer is provided. 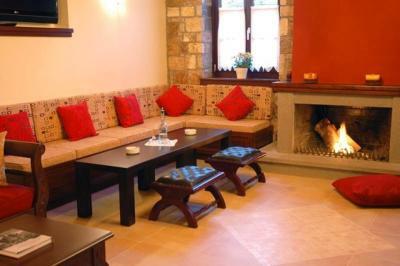 House Rules Zagori Philoxenia Hotel takes special requests – add in the next step! 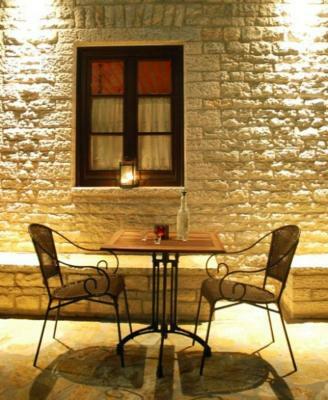 Zagori Philoxenia Hotel accepts these cards and reserves the right to temporarily hold an amount prior to arrival. 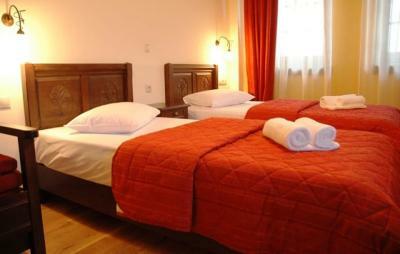 The rooms are large, suitable for families, in a very good location for tourists. While it was a no-frills kind of place, with basic amenities, the staff was pleasant and the breakfast (according to our son) was excellent. 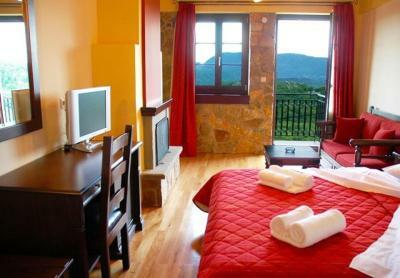 The mattress of the bed was a bit hard, but you get easily used to it, and, due to the climate, sleeping in Zagorohoria is something very enjoyable. The breakfast is ok but it could be enriched with more local products. The owner of the hotel is a very polite person, who cares about his customers and can guide you for organizing great excursions at the area. The hotel is new and clean. 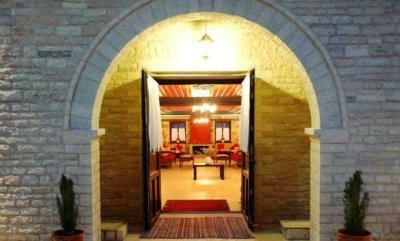 Monodendri is excellently located in Zagorohoria for accessing the other villages. Food in this town is average, go to Vrista for dinner. Quiet and close to Viko Gorge trailhead. Wonderful breakfast and very nice rooms. Excellent location. Lovely and very friendly staff. The bed and pillows were very hard and uncomfortable. The breakfast could have a bit more variety. Grandchildren were a bit noisy at times. One of the mosquito blinds on the window was broken and as there was no air conditioning we could only open one window at night time resulting in the room becoming very warm and uncomfortable. Everything. Charming and very friendly owners. Rooms were so complete with fresh fruit and even slippers. Nice balcony. Superb breakfast. Towels and parasols for the beach! Great value for money! Great Staff, clean room, great breakfast and such a great view from our room! Everything was just perfect!